CIA director Mike Pompeo met with Russian counterpart in U.S.
WASHINGTON -- The Trump administration let a top Russian spy official visit the United States last week for meetings with U.S. intelligence officials even though there are sanctions against him that typically prohibit such visits, sources confirmed to CBS News. 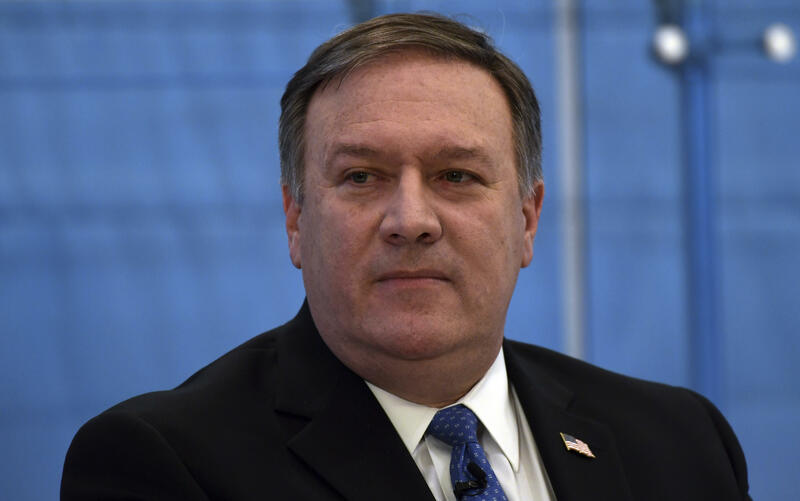 The meeting between CIA Director Mike Pompeo and his Russian counterpart Sergey Naryshkin did take place, CBS News' justice and homeland security correspondent Jeff Pegues reports. Pegues reports that Naryshkin is the director of the Russian Foreign Intelligence Service and has been on the U.S. sanctions list for some time. Intelligence officials said that "while we do not discuss the schedules of U.S. intelligence leaders, rest assured that any interaction with foreign intelligence agencies would have been conducted in accordance with U.S. law and in consultation with appropriate Departments and agencies." The meeting took place in part to discuss the "joint struggle against terrorism," the Russian ambassador to the U.S., Anatoly Antonov, said on Russian state television. Pompeo appeared on "CBS This Morning" last week, where co-host Norah O'Donnell asked him if he had seen "collusion with members of the Trump campaign at the time." "I wasn't on the campaign," Pompeo replied. "I haven't seen it. … I can only say this: I've watched this administration deal with all of our adversaries in a way that has been robust. And the CIA, as part of that, is doing our part." Pompeo said there is a "major push, not only from the CIA but all of this administration and this government, to do everything we can to prevent that from happening in 2018, in 2020, in 2030 and beyond." Reuters first reported the news of Pompeo's meeting with Naryshkin, citing the Russian embassy. Senate Minority Leader Chuck Schumer, D-N.Y., told the Associated Press the timing of the trip is suspicious, coming days before President Trump decided not to issue any new sanctions against Russian politicians and oligarchs over Russian meddling in the U.S. election. "This is a serious national security issue," Schumer told reporters. "Russia hacked our elections. We sanctioned the head of their foreign intelligence, and then the Trump administration invites him to waltz through our front door. This is an extreme dereliction of duty by President Trump, who seems more intent on undermining the rule of law in this country than standing up to Putin." Schumer wants to know whether sanctions were discussed, whether Naryshkin also met with White House or national security officials and whether other sanctioned Russian officials were along on the trip. Naryshkin was sanctioned in 2014 in response to Russia's annexation of Crimea. The U.S. ambassador to Russia, Jon Huntsman, told a Russian radio station on Tuesday that CIA Director Mike Pompeo recently met with Russian spy officials, but he did not say where the meeting occurred or say specifically who attended. Huntsman was underscoring cooperation between the two nations. "Just in the last week, he (Pompeo) has had probably the most important meetings on counterterrorism that we've had in a very, very long time, at the senior levels," Huntsman said in the interview with the radio station Echo of Moscow. The CIA released a statement saying that while it does not discuss the schedules of U.S. intelligence leaders, "rest assured that any interaction with foreign intelligence agencies would have been conducted in accordance with U.S. law and in consultation with appropriate departments and agencies." Jonathan Schanzer, a sanctions expert at the Foundation for the Defense of Democracies, said that typically, people who have been sanctioned have their assets frozen and are barred from entering the United States. He said there are cases where individuals from sanctioned countries enter the United States after getting permission to attend meetings at the United Nations. Situations like Naryshkin's visit are more unusual, Schanzer said. "We don't see this sort of thing being reported very often," he said.